UPDATE 1955 GMT: The US Air Force has resumed flights from Incirlik Airbase, which had been blocked with a cut-off of power by Turkish security forces while they tried to detain alleged coup plotters who were within the complex. After close coordination with our Turkish allies, they have reopened their airspace to military aircraft. As a result, counter-ISIL [Islamic State] coalition air operations at all air bases in Turkey have resumed. U.S. facilities at Incirlik are still operating on internal power sources, but we hope to restore commercial power soon. Base operations have not been affected. With the unflinching will of the people, Turkey has waken to a new day with a much stronger sense of democracy and freedom. Upon the call of our President H.E. Recep Tayyip Erdoğan, our operations at İstanbul Atatürk Airport are now back to normal and flights have begun. On Saturday, Prime Minister Binali Yildirim broached the possibility of the death penalty for those implicated in the attempted coup. The Turkish Government suspended executions in 1984. As part of its harmonization of relations with the European Union, it banned capital punishment in 2002. UPDATE 1525 GMT: Colonel Ali Yazıcı, President Erdoğan’s aide-de-camp, has been taken into custody. 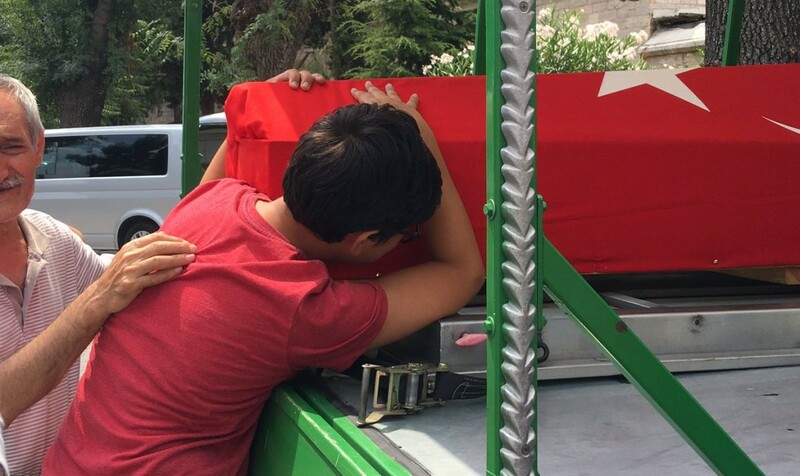 While Erdoğan was on vacation in Marmaris in southwestern Turkey, Yazıcı remained in Ankara during the coup attempt. He allegedly took part in the kidnapping Secretary-General of the President, Fahri Kasırga. UPDATE 1315 GMT: Prime Minister Binali Yıldırım has declared that life in Turkey has returned to normal. “This coup attempt has been definitely crushed. Our people may feel safe,” Yıldırım said after visiting the headquarters of State TV outlet TRT, which was occupied by anti-Government forces during Friday night’s coup attempt. “Another trouble has been defeated. Our nation has taken a sigh of relief,” he said. Yıldırım called on the people to “go to your jobs during the day” and continue “democracy vigils” at night. UPDATE 1045 GMT: Twelve military personnel, including Brigadier General Bekir Ercan Van, have been detained at the Incirlik Airbase. The base has been blockaded and cut off by security forces trying to seize troops alleged of involvement in Friday night’s coup attempt. 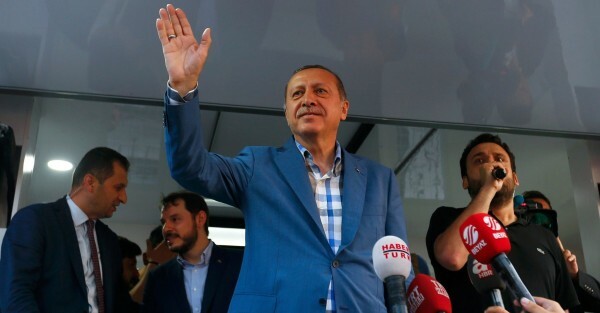 ORIGINAL ENTRY: Turkey’s President Recep Tayyip Erdogan has hit back hard at his perceived political, military, and judicial enemies, following the failure of a coup attempt on Saturday. Prime Minister Binali Yildirim announced the arrest of 2,839 military personnel. At least 14 generals were detained, including two from the 2nd Army, one from the 3rd Army, eight from the Air Force, and a former Chief of Air Staff. A “security source” said that 52 senior army officers were arrested in Denizli Province in western Turkey early Sunday. Those under arrest included Major General Kamil Özhan Özbakır, commander of the Denizli garrison and the 11th Commando Brigade, the source said on condition of anonymity due to restrictions on speaking to the media. The High Council of Judges and Prosecutors dismissed 2,745 judges and five of its own board members. Warrants were issued for the arrest of 140 members of the Supreme Court and 48 of the Council of State, as well as two of the 17 judges on the Constitutional Court. Mr President, I told you myself, either deport or hand over to us this person who lives in 400 acres of land in Pennsylvania. I told you that he was engaged in coup plots but I was not listened to. Now again today after the coup I say it again. Gülen was an ally as Erdoğan rose to power as Prime Minister, but the two men fell out, culminating in a split amid corruption allegations against the Government in 2013. Erdoğan has accused Gülen of creating a parallel movement within a “deep state” — infiltrating the military, security services, and the judiciary — in an attempt to overthrow the Government. I don’t believe that the world believes the accusations made by President Erdoğan. There is a possibility that it could be a staged coup and it could be meant for further accusations. There is still confusion over the death toll. Prime Minister Yildirim said on Saturday that there had been 161 deaths, with 1,440 wounded, while the Deputy Chief of Staff, Ümit Dündar, said 104 of those involved in the coup had been slain. It was unclear whether Yildirim’s total included or excluded the deaths of anti-Government forces, leading to differing reports of 161 or 265 victims. Apparently trying to seize other leaders of the uprising, Turkish authorities have blockaded and cut power to the Incirlik Airbase, which is also a major facility for American operations. US forces were put on highest alert, Force Protection Condition Delta, on Friday night during the coup attempt. Turkish security forces also surrounded the Golcuk naval base, amid reported that an anti-Government group took over a frigate and was holding the head of the Turkish fleet hostage. Eight Turkish army personnel, believed to be officers, are claiming political asylum after fleeing to Greece in a helicopter. Turkish Foreign Minister Mevlüt Çavuşoğlu said Ankara has requested extradition. The helicopter was returned to Turkey at 11:30 p.m. on Saturday. The eight personnel are due to appear in a Greek court on Sunday on charges of illegally entering Greece.